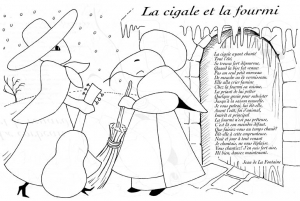 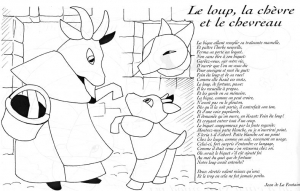 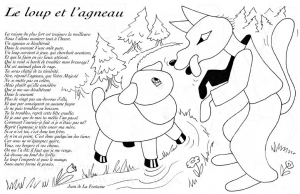 Here are fun free printable coloring pages for children inspired by La Fontaine's Fables. 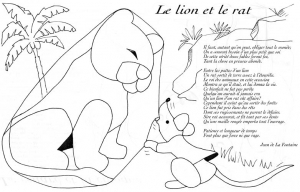 Divided into 12 books, there are 239 of the Fables, issued from 1668 to 1694. 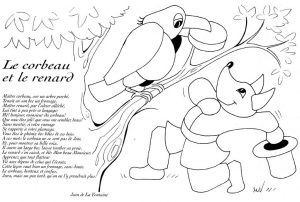 Jean de La Fontaine adapted into French free verses fables from a wide variety of sources, both Western and Eastern. 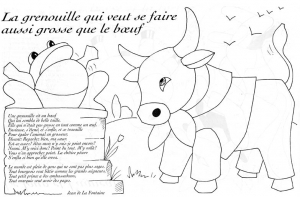 Humorous and ironical, they entered the educational system but initially they were originally aimed at adults.